theartdept can custom-make exciting, interactive teambuilding experiences through visual art for your staff. This is a fun, non-threatening way to explore visual art and get to know one another in a different context. Your work team can experience strategies for creative and imaginative thinking and problem solving that can be applied to other contexts. "The arts teach that in complex forms of problem solving, purposes are seldom fixed but change with circumstance and opportunity. Learning in the arts requires the ability and a willingness to surrender to the unanticipated possibilities of the work as it unfolds." Our workshops can be tailored for conferences or for workplace professional development. Contact us to talk over your ideas. 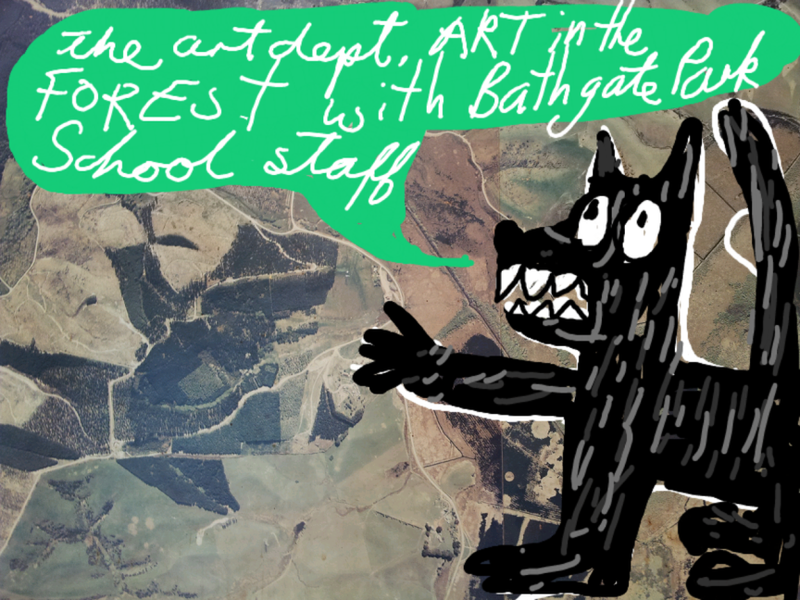 theartdept worked with Bathgate Park School at Berwick Forest. We worked with 30 people in a camp setting for a teambuilding retreat. Participants painted, collaged and laughed the evening away while creating a collaborative art installation. At our recent staff retreat we had the absolute pleasure of working with Pamela and Kerry! Kerry and Pamela guided our whole staff in a creative, teambuilding activity and one that we all thoroughly enjoyed. Contact us direct or use this enquiry form to request a customised creative workshop for your team.